If you love tortillas, you will LOVE how delicious these bad boys are! 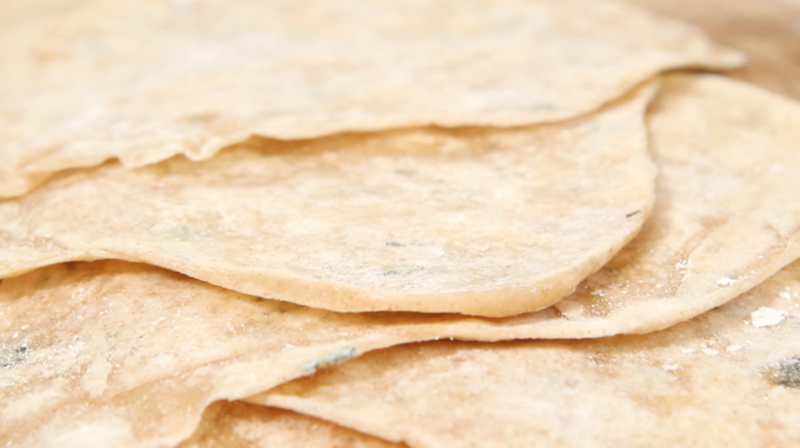 For some reason, I always thought homemade tortillas would be super hard…but they really weren’t hard at all! The flavor of these bad boys seriously trumps any homemade tortilla I have ever tasted! They taste delicious with practically anything! To a bowl add both flours, salt, baking powder and oregano and use a whisk to combine well. If you can’t find fresh oregano you can substitute with 1 tsp. of dried oregano…just make sure you crush it between the palms of your hands when adding it to release the oils. Use your hands to add in and incorporate the shortening until it resembles coarse meal. Slowly add in water a little at a time until dough holds together, you may not need all the water. Turn dough out onto a clean work surface and knead for a couple of minutes until smooth. Divide dough into 10-12 pieces rolling them into balls in the palms of your hands. Cover dough balls with a damp cloth and allow to rest for 45 minutes. Place an ungreased comal or griddle over medium-high heat. Roll out 1 dough ball at a time on a lightly floured work surface. To form the tortillas place the dough ball onto work surface and press lightly with your hand, set the rolling pin at the center and press forward and then press back towards yourself. Turn the tortilla 45 degrees and repeat. Flip the tortilla and repeat the same process until you have a thin disk of about 10 inches. Place the tortilla on the preheated griddle or comal. Allow to cook about 10-15 seconds or until bubbles begin to form, flip and cook about 10 more seconds on the other side. Remove the tortilla and wrap with a kitchen towel. Repeat steps until all tortillas are cooked.